The Congress MLA, who met Congress top brass in Delhi, said he would remain with the party and would continue to fight for the underprivileged people. In a major relief to the Congress in Gujarat, party MLA from Radhanpur, Aplesh Thakor on Saturday dismissed reports that he would cross over to BJP. The OBC leader also made it clear that he would not contest the upcoming Lok Sabha elections. “The manner in which there is a move of MLAs to switch parties, I want to tell you that everyone likes power. I also want it for my people. With that power, I believe that I can do something for my people. Who does not like to be a minister? Everyone does. Anyone sitting here if made a minister would readily accept it. I also like to be a minister. One day such a thought also came to me. 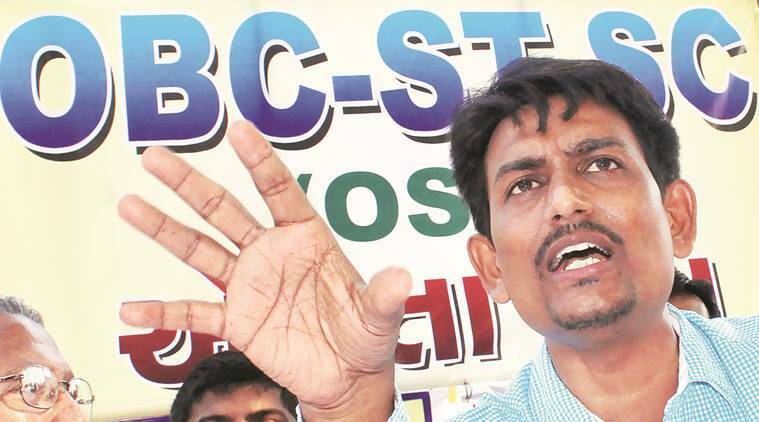 I too thought of becoming a minister,” Thakor said. His statement comes a day after two Congress MLAs, Jawahar Chavda and Parsotam Sabariya resigned from the party. Chavda was inducted as a Cabinet minister in the Vijay Rupani government in Gandhinagar on Saturday after he joined the BJP. “I can stay without power, but not without respect. I cannot accept if someone says that I can sell myself or I am greedy. So I am saying that we have chosen the path of struggle which is full of difficulties. We will fight for poor, unemployed, farmers, OBCs and SC/STs. Alpesh Thakor is now clear. I want to fight for my people and so I will stay with Congress party and will support the Congress party. “This will ensure that nobody will taunt me or my people that he was greedy or he wanted to be a minister. I want the respect and rights of my people and so we will struggle for it,” the OBC leader said while adding that he is “no more confused” and has taken the decision after listening to the voice of his people. However, he said that some of the youths from his community would be unhappy with his decision to remain with the Congress. “I am not running around for power. If I had wanted power then I would have become a minister six months ago. But I do not want that power where issues of the poor are not addressed and I can do nothing for them. When I thought I will become a minister by joining the government, then I also thought about the 25 lakh people who had given me a mandate in 2017 (state assembly elections) to be with the Congress party,” Thakor told media persons moments before BJP expanded it’s cabinet and inducted ex-Congress MLA Jawahar Chavda. When asked about the details of his meeting with Congress leaders in Delhi on Friday, Thakor said he had spoken about the need to respect his people. “I do not deny that I was unhappy with the (Congress) party and the way of functioning of some people… However, I will not need to struggle within the party anymore,” he added. He said he will not be fighting the upcoming Lok Sabha elections and no members from his family including his wife have any political ambitions and will not enter politics. “I have requested the party that I do not want to be the national secretary. I want to be in Gujarat and work for the people here. I do not want to do any politics in Delhi,” he said.